Interoperability has long been a contender for health IT’s hardest problem to solve. And with more than $35 billion having been poured into digitizing the healthcare system over the past decade, enabling easier information exchange is now more pressing than ever. 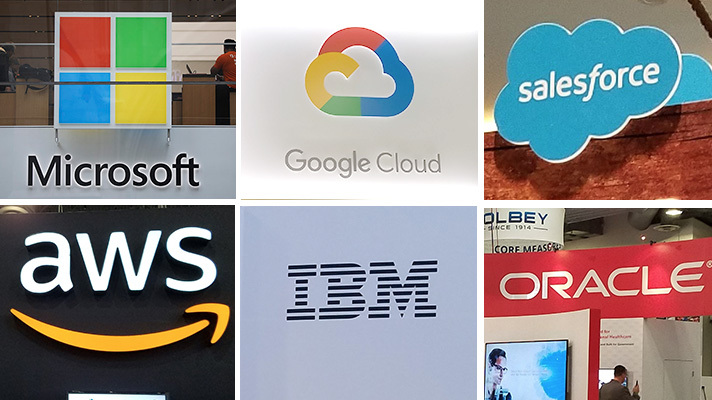 Toward that end, six of the biggest technology companies came together and publicly pledged to remove interoperability barriers during the Blue Button 2.0 Developer Conference at the White House in mid-August. So we asked Healthcare IT News readers: Can Amazon, Google, IBM, Microsoft, Oracle and Salesforce pull off health data interoperability? Answers revealed sharp divisions among the 280 anonymous respondents: 40.7 said yes, while 23.2 percent said no, because it’s too hard for nontraditional vendors to solve. The rest, 36.1 percent, said it’s too soon to tell. One reason almost 60 percent of participants said they were skeptical: Details of the tech giants' pledge were relatively scant. ITI and the vendors used words such as "historic" in referring to what they called a transformative initiative that would lead to frictionless exchange and improved patient outcomes. But other than the written pledge stating that cloud computing, artificial intelligence, FHIR and Project Argonaut will play key roles, however, no one has explained exactly how they plan to reduce interoperability barriers just yet. Nor did they reveal whether or not they will all be using the same version of FHIR to share data with each other, hospitals, the developer community. But if it would seem a no-brainer that of course they would all agree on the same exchange specification, then consider this: When Apple’s Clinical and Health Informatics Lead Ricky Bloomfield demonstrated the company’s FHIR-based app at ONC’s Interoperability Forum he said Apple is adhering to the HL7 Argonaut Implementation Guide to make it easier and more consistent for developers to liberate various data types across competing EHRs deployed my multiple health systems. Fast forward one week to the Blue Button 2.0 Developer Conference, however, where CMS Administrator Seema Verma called on health insurance companies to make claims data available via APIs – and Blue Button 2.0 uses a different flavor of FHIR than Apple does. Mark Scrimshire, CMS Blue Button Innovator, said that’s because the Argonaut is version 2 of the FHIR spec and doesn’t have the Explanation of Benefits resources that CMS and payers need that is only in FHIR v3.0. For all of the pieces to come together in FHIR v.4.0 would not be impossible but the v4 spec, likely to make an appearance next spring, hasn’t been finalized yet. Long story short: Standards are messy. For the 40 percent of readers who said the tech giants will be able to finally enable information exchange there is reason to believe. They’ve actually done it before, just not in healthcare. They all have big infrastructure for clouds that transport data the world over. They already have scale. Relative to healthcare, each has experience with HIPAA. Generally speaking, these companies make better use of data than any others in the world and understand how APIs and open source software works. What’s more, IBM, Microsoft and Oracle played key roles in establishing early versions of standards that enabled interoperability among application server stacks, databases and websites. They battled over intricacies of XML and Java 2 Enterprise Edition, among others. That’s deep experience that precious few companies in healthcare possess, and so history would suggest we should expect road bumps. Those tech vendors managed to achieve a perhaps-imperfect-but-perfectly-reasonable degree of interoperability – such that, more often than not, accessing a website from different browsers, or one site calling out to another to confirm credit card payment, has become something that's just taken for granted. It wasn’t always that way, however. And health data interoperability won’t be as difficult forever as it is today. Whether it's driven by a promise from enterprise IT’s top vendors, a startup with a killer app or a combination of those and many other things, something will help fix healthcare interoperability. At this point, the only prediction one can really believe is that we'll find out eventually.